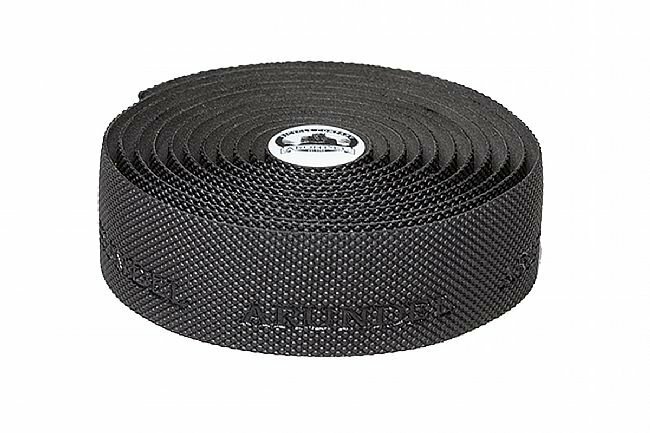 Arundel’s Rubber Gecko Handlebar Tape is a cushy bar tape made with foam and an outer layer of natural rubber. Rubber Gecko offers a soft tactile grip with a bit of give to it. It wraps slightly fatter than Arundel’s original gecko grip but not by much. The Rubber Gecko tape is perfect for the rainy, cold cobbled classics. Put on my gravel bike. Provides plenty of cushon and feels sticky. Haven't ridden in rain yet, but assume it will provide a secure grip. Kept the package in my shop so I don't forget what I used. Will eventually convert all my bikes to this as I replace bar tape. If you are someone who likes a great grip with a little cushion, this is it. I replaced tape that used gel strips and this has a better feel to it all on its own. I've used lots of different bar coverings, cloth tapes from the '70's, foam tubes (ugh!) 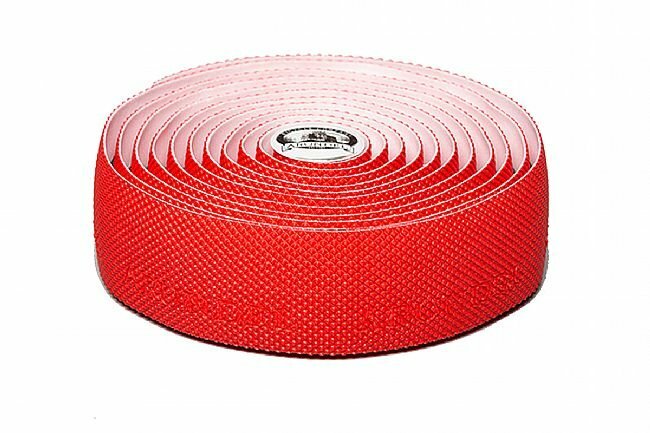 and plastic tapes that were all the rage in the '80's, modern manufacture cork tapes by Cinelli and Specialized and others, and perforated synthetic leather tapes. In comparison to other tape this Arundel Rubber product is significantly easier to wrap. Its stretchiness gives you more leeway to make nice even wraps the entire span of a drop bar regardless of whether you're on a straight or curved section. There's less need to undo and redo and pull hard on a wrap because one side of the tape isn't down tight to the bar. And the finished bar has a nice feel, with good grip and cushion. Unfortunately I can't write from personal experience about long term performance because I put this tape on my Italvega single speed build, and my son liked it so much he took the bike to school. He rides the heck out of that bike in all kinds of weather and I've heard only praise, so that's a strong endorsement. previously, I used the FIZIK 3mm thick bar tape with the fizik silicone padding add-on underneath. I like the extra cushioning for my hands without the bulk as well as the cleanability. at the rec of my bike shop, I tried the Arundel Rubber Gecko Handlebar Tape. it has the same cushioning as my previous set up, but is more durable and easier to keep clean than the fizik. it also less slippery. I presently have it on both my bikes. Fantastic product! 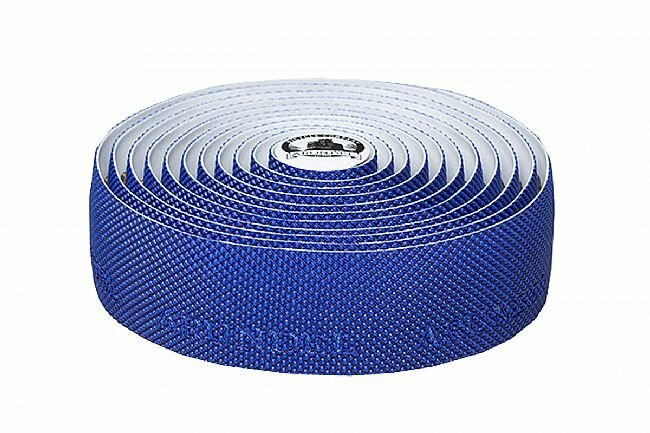 The only bar tape I use now. 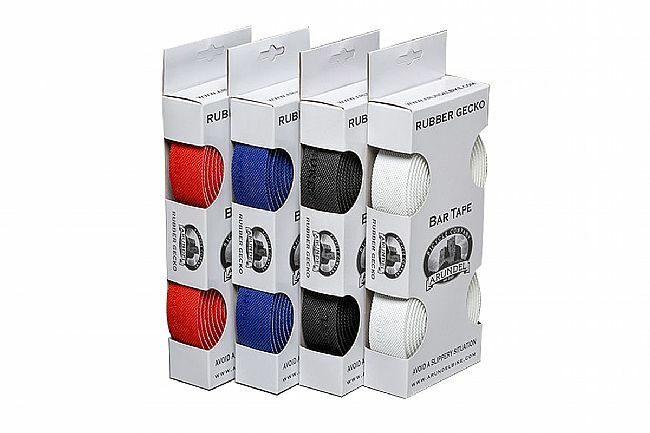 The bar tape wraps beautifully and is super comfortable. I have it on three bikes currently and absolutely love it! It also looks great and is very durable. Its a good deal! its a great grip! It would be great if it was 10-15$ but I paid about 20$ Def grippy feel and holds up well. I only installed it a few weeks ago but so far so good! cushy tape requires no additional gel underlayer as I needed with other brands. easy to keep clean and is durable enough to last an entire season of 7000 miles and not look tatteredused. BUY IT. Easy to apply. Good grip. Very grippy and secure feeling. Hard to imagine but this new tape really makes a difference. Comfortable ,easy to install, tough, doesn't tear. easy to clean. Replaced worn out Lizard Skins DSP with this tape. I always liked the Lizard Skins, but it wore too fast and is kind of pricey. I got this as an alternative and, so far, it's great. Feels comfortable and secure on the bars. It'll take awhile to find out how it wears, I guess.